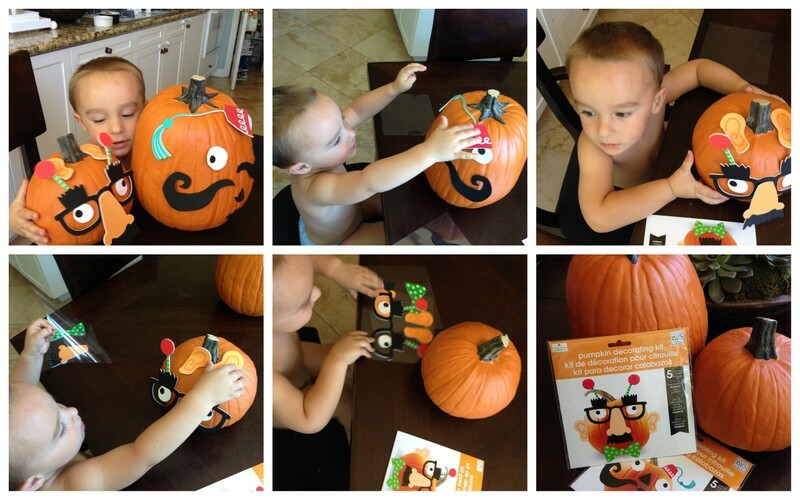 mambi pumpkin decorating kit, available at Michaels Stores. Makes pumpkin decorating easy for almost any age! I decorated some pumpkins this weekend with my son Chase. He loved making a pumpkin! Chase loved the decorations so much he had to try them on himself!